This past week I was able to get a little caught up on reading some of my favourite blogs and introducing them to Kelly too. We came across a blog called Underland to Wonderland a few months back and immediately loved Danielle, as she is a fellow Disnerd like us and always has fun things to read. 1. What was the last country you visited? Lucy: That would be England last Christmas. :) I was there for two weeks and it was the best. It still feels strange saying that I visited England as I still consider it home. 2. How many countries have you visited? Kelly: 6 countries but we've visited most of those more than once. We've been lucky enough to have been to Portugal twice as that was a family holiday we liked growing up, and then Italy on 3 separate occasions to visit family! 3. What is your favourite place on the planet, that you have been to? Kelly: I would definitely have to say Italy because of our family ties as well as it being beautiful and home to the best food in the world. I do really want to visit there again soon, as we were quite young on our previous visits so I feel there is so much more I have yet to do, see and appreciate. I do have to say also that I really enjoyed my 8 months in Florida, can't go wrong with being 15 minutes away from Disney World. 4. Favourite place in your home country? Kelly: I would have to agree with Luc on this. England is a great place with lots to do and see but there is no place I love more than being at Nanna and Grandads house. It's cozy, comforting and there is always the best food in the kitchen! :) Oh and the Harry Potter studio tour in London would probably be up there too...if you live in England and haven't been there yet, what are you waiting for?? 5. If you could board a plane now, where would you go? 6. What's your cup of tea - Tropical island getaway, snowy ski break, or city exploring trips? Lucy: Ooh, I think it depends. 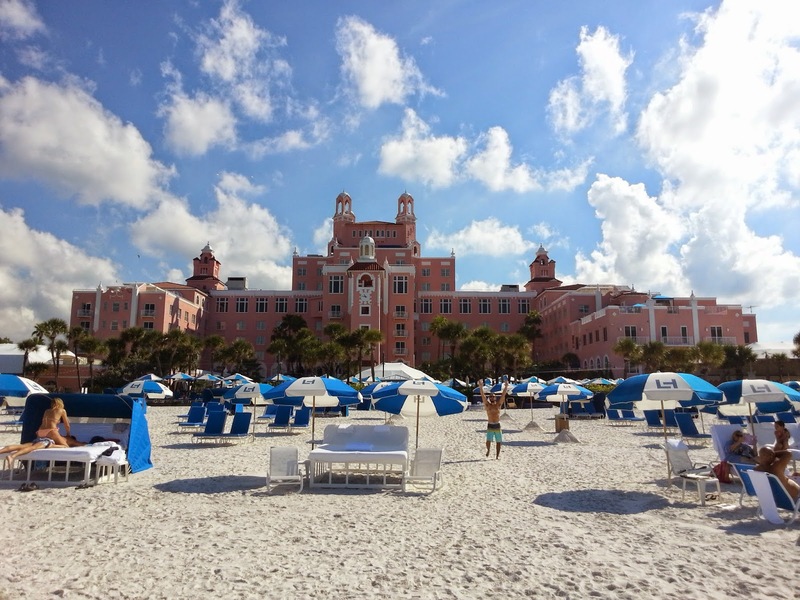 I love exploring places and experiencing different cultures and cities but after our wedding and spending a few days in St Pete and then again for our anniversary, I do enjoy relaxing and reading books on the beach or by the pool. I like this too because I get to see my husband relax and not worry about work. :) I admit sometimes I get a little restless sitting by a pool for too many hours, but then I also have lazy moments when it comes to wandering around for too long! :p However, I would love to go to New York again with my husband, as the two days we spent there two Christmas's ago, were perfect for exploring the city and it was just magical. 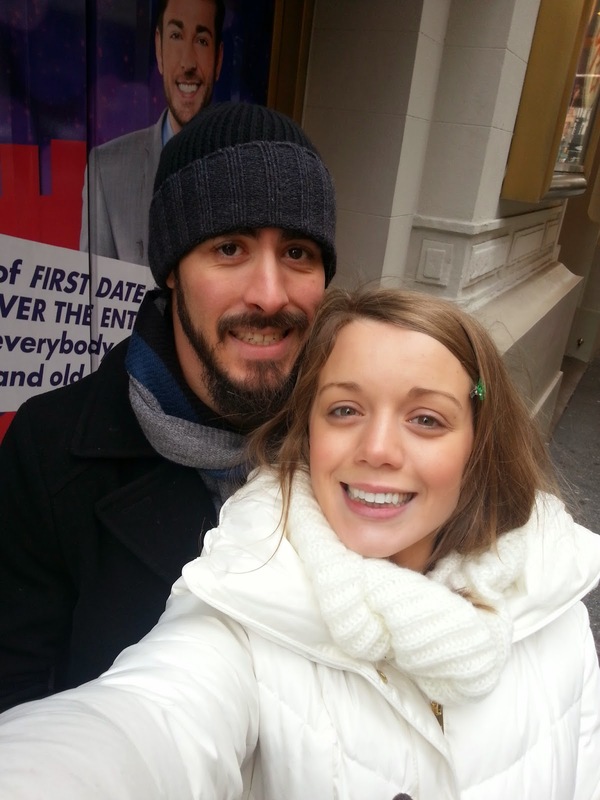 And meeting Zachary Levi sure did add the magic too, if you were wondering! :p So yay for exploring cities. 7. What are your top 3 hand luggage must-haves? Lucy: First and foremost my most precious possession, Nobby, oh yes, he has to travel in my hand luggage because then he can be with me at all times and I don't have to worry about losing my luggage. If I'm staying over night anywhere he always comes with me...much to my husbands delight! :p Hmm, then I would say a book, if I'm travelling I like to read and then I would say lip balm/hand cream! That's 4 but they are my check my bag over and over for. Kelly: Surprise, surprise I have the same answer, Mandy (my teddy) has to go in my hand luggage, no getting lost or going under the plane for her. Must have a book of course and definitely need my blistease (Blistex) or a lip balm. 8. Any travel tips to share? Lucy: Hmm Kelly is way more organized than me. I feel I have become a little more last minute with everything these days as I am used to travelling a lot. When it comes to going back home to the UK, I procrastinate so much because I know if I forget anything I have clothes and a bedroom full of stuff there! So I'm not certain I am best to give tips. :p In saying that, I would say knowing where important travel documents and passports are, are key! :p Ooh and bring little snacks with you so you don't have to spend money in the airport, as airports can get very expensive. Kelly: My husband taught me this and it worked for when I went on Route 66, I didn't want to take a huge suitcase because I wanted to take my bags on as hand luggage, but I had two weeks to pack for, so I rolled all my clothes instead of folding them and I fit more stuff in! 9. Most embarrassing moment abroad. Lucy: I've probably, most definitely had embarrassing moments abroad but non that really jump out at me. Hmmm, I will have to think on that one. Kelly: Same here, I can't actually think of one right now...but now I'm going to have one pop into my head at some random time of day! Lucy: I remember when we went to Portugal for the second time when we were younger, we went to find our Villa and pulled up to a house that was dark and had construction all around it. Inside all the curtains were closed and everything was dirty and damp. Now my parents are really good with stuff like this, they are amazing people and don't like to get mad or be rude to people, but I can remember them trying to get switched to a new place and I think we got taken to another one that was the same until we got to a nice place. My Mum and Dad were being so patient and calm but I could tell with four small kids in tow they were tired and really disappointed with it all. Kelly: That was so long ago but now Luc mentions it, I remember that too. Other than that we've been very lucky with places we've been to! 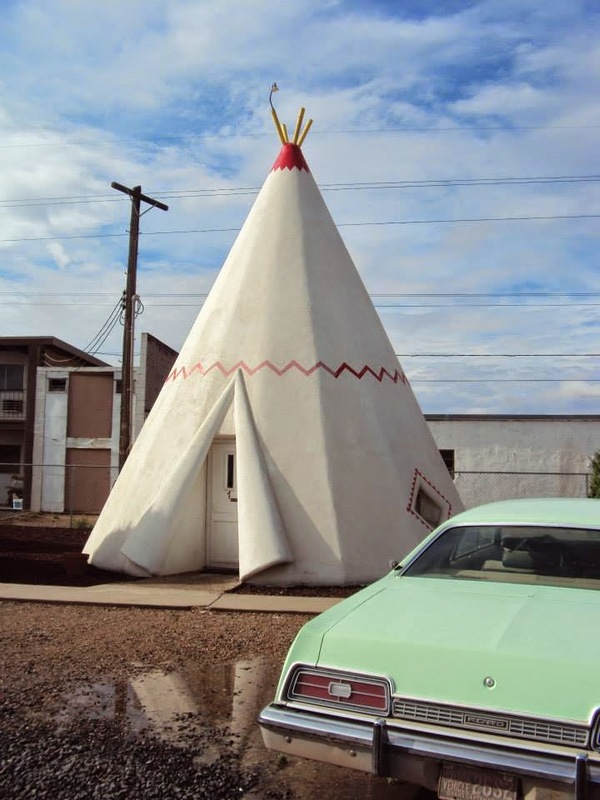 Ooh actually when we were on Route 66, we stayed in the famous Wigwam motel in Arizona, where you sleep in a room that is built like a wigwam. Well driving through the town and on initial arrival to the motel, myself, my sisters and our Dad were like "ok this is very different to what we were expecting" there was nothing to do in the town and the Wigwams looked very old and a little scary at first. So initially we were a little disappointed but in the end it was a fun experience! Kelly: Both times my husband and I have been to Disney hotels, we have been surprised by the utter scale and detail of them. We had seen pictures and Disney videos online, but actually being there in person is something else. 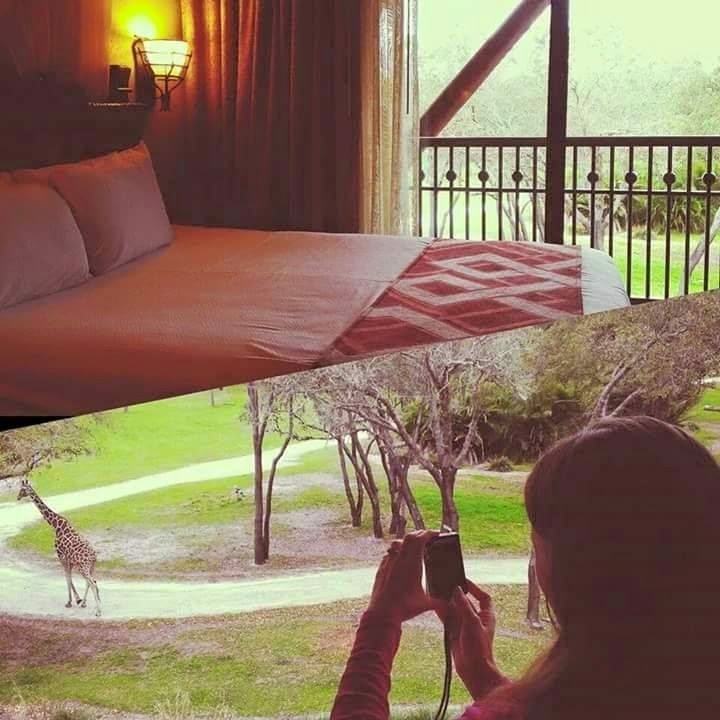 We stayed at Port Orleans Riverside for our honeymoon and The Animal Kingdom lodge for our one year anniversary and both places were amazing. It's quite something to wake up at three in the morning to nip to the bathroom and seeing three giraffes out of your hotel window. Definitely a place I would recommend! 12. Three places at the top of the travel bucket list. Kelly: I would love to travel all around Italy so that's my top one. We've only ever visited the smaller towns but have never been to Rome or Milan so that would be fun to tick off the list. I also like the idea of Colorado, every time I see a picture of the ski resorts at night with the snow and twinkly lights it makes me smile. For my last one I'm going to say San Diego for a Nerd HQ...its a must for me and my sisters! Lucy: So I LOVE everything and anything you can get from Italy, Italian food is my absolute favourite but if we are talking about a discovery I'm going to go with trying Churros for the first time when we were little and went to Florida! :) They are the best things ever! Kelly: Ooh tricky, it's hard to remember all the food we've eaten over the years, I mean we've been to Italy three times!! With that being said I am going to pick something we ate years ago when we visited our Auntie Guiseppina in Padova Italy, she made artichoke risotto and it was delicious. We still remember it to this day and are yet to try making it ourselves ,but it was so good!! I'm also going to mention here, discovering the lemon trees in Italy...Sorrento lemons are HUGE!! 14. Why do you travel? Lucy: I have to admit that as I have gotten older I have become more of a homebody. I do love the idea of travelling and seeing the world but when it actually comes down to it I love being curled up with my family. In saying that though, I know I am incredibly fortunate to have been to all the places I have been already and for that I am very grateful. When I do travel though and the reason I do enjoy it, is because of the sense of adventure and learning and experiencing new places. Kelly: Right now, we travel to visit home but I do enjoy traveling to experience new places, see the world and also to spend quality time with the people we travel with. It's fun to share new experiences with friends and family! 15. What 3 things would you take on holiday/going travelling if you could? Kelly: Aww to Luc's answer. I get that too, I would love to be able to show Nanna and Grandad where we live here and what we get up to. Other than that I don't think there's anything else I would need that I couldn't already take! 16. Have you picked up any phrases from travelling? Kelly: Not really. We've always had our mum and grandad in Italy for when we don't understand our relatives. I am hoping that after doing Rosetta Stone, I can pick up more things and speak for myself next time we go back though! 17. What two places would you not go back to and why? Lucy: I really don't want to be mean about a place, as everyone will have a different experience to someone else, but we went to Paris a few years back and I can't say that I have any desire to go back. I wasn't really keen on the place at all. Kelly: Like Luc said, each to their own. I don't wish to be mean about a place someone else loves but Las Vegas and New Mexico weren't really my cup of tea! 18. Your dream travel companion. Kelly: My family are my favourite travel companions and I wouldn't really want to go anywhere without them. Like if I say a dream someone, where would we be going and how long would the trip be?? I mean I have lots of "famous" people I love who I would love to sit and talk to for a long time, but actually going on a whole trip with them, I'm not sure. Saying that if Chris Evans, Rupert Grint or Zachary Levi fancy a road trip, I'm on board! 19. Most surreal travel moment. Oh I loved reading this! Its always so interesting to hear about peoples adventures. And thank you so much for such kind words about me. 7 not including airport changeovers. Scotland, Wales, France, Holland, Kuwait and America. New Orleans, I have only visited once which was for Wrestlemania 30 but what an incredible experience, you know when you just go somewhere and everything just feels right. The nightlife was wonderful, not like the mass of generic nightclubs in England, the whole place had this really chilled out vibe even when going out at night but at the same time had a very upbeat positiveness about it. There's a really strong sense of community about the place. A day or 2 there is enough to see why it has the nickname 'The Big Easy'. I would move there tommorow if I could. I would have to say Newquay. Again there's a real community feel to it and I love how peaceful it is there. Although I'm not one for sitting on the beach all day it's still lovely to walk along the many beaches there and just watch/listen to the sea. Big fan of seafood too :) Went about 5 Summers in a row but havn't been for a couple of years so must rectify that soon. New Orleans, have thought about the place every single day since I left and as weird as it may sound sometimes I feel like the universe is telling me that's where I'm supposed to be. Feel so drawn to it. I think the only things I really put in my hand luggage are a book and my kindle with some stuff to watch downloaded on. Although I always end up not using either. Only started really doing long distance flights the last year and a half or so thus am still fascinated with the tv's on the back of seats so I can watch all those films I never got round to. Maybe a bit of an obvious one but finding a good place where you're staying to hide money, never take it all out with you in case of pickpockets. Walk as much as you can so you're not flying past in a bus or taxi and missing stuff. Try not to eat at too many places that you have back home, try something new. Probably a night out in Malta, I don't drink often but it was late at night I was very drunk and my friends had disappeared into a club. I knew I had to leave before passing out so hopped in a cab and realised not too far away from our apartment I'd given one of my friends my wallet to look after (oooops). I also didn't have a key with me. San Jose I thought wasn't a fun city at all, just didn't seem to have any character to it. I enjoyed the few days there as we had a billion wrestling things lined up to do there but the city itself is somewhere I likely won't go again. 1. Nashville - I'm a huge music fan and it's just such a musical city. 3.Vancouver - I have friends moving there soon (free accomodation YAY) and the way they describe it sounds amazing, very hippyish and relaxed vibe which is a huge love of mine when I go somewhere new. I have to say the only time I feel really settled ironically is when I'm travelling now, there's a whole world out there I want to see and it bothers me sitting in an office for so long doing a job I don't think I'll be doing in say 5 years. Havn't felt right at all since I came back from America and want nothing more than to be off on my next trip. When I'm not travelling or don't have a trip to look forward to I feel kinda trapped. My closest friends, it's them/my 4 young Nieces I'd miss most if gone for an extended period. My wardrobe would be great, I despise packing with a passion and always leave it till the last second. I've never not still been packing on the day I go :p Nando's as well ha. 'Who Dat?' from New Orleans I like, don't really know what it means but I keep saying it haha. I've learnt a few Maltese phrases as I loved my holiday there and one of my closest friends is from there. Love the language, mixture of Italian, English and Arabic. Kif inti for how are you, or just Bongu for good morning I like. Any of my closest friends really, although I could be happy in alot of places by myself as well I think. Celebrity wise (not including you two of course as that'd be obvious right) I would go for Emily Kinney (Played Beth on the Walking Dead), seems like a super cool chick to go do some travelling with. She's a wonderful musician too.